This is the famous coca cola can. And the person sitting are Masa and me. Masa is a good chess player. 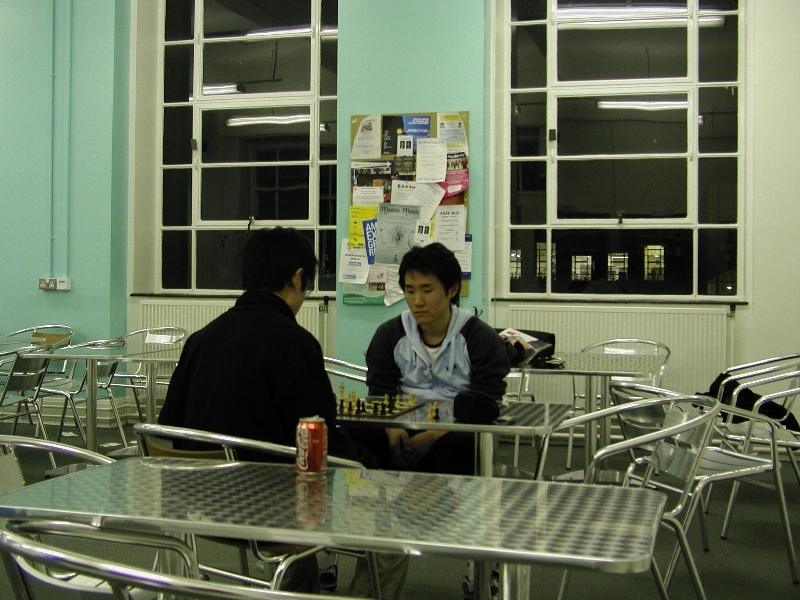 He goes to chess class every week and plays against old people, who are usually pretty strong. So, there is no chance I can beat him on chess.